After a Summer of unprecedented sunshine and near-uninterrupted heat, the first Heritage Open Day weekend of 2018 was almost guaranteed to be – let’s say English in its variability. Nevertheless it was not cold, and the rain, while wet, was not too persistent, so the Friends were pleased to be opening up the colliery, and taking a break from the working parties, to spend some time sharing their passion for the site, and guiding visitors around the remarkable surviving features. Regular volunteers Chris and John opened up the site. Site Manager Glen assisted in rolling out the Heritage Open Days banner, and setting up the display ready for the day. 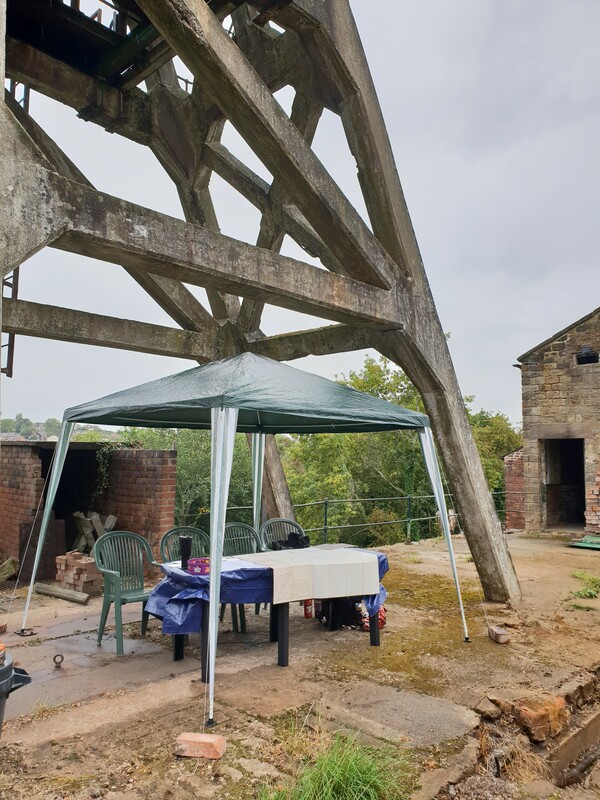 Under the main headgear, the Friends pitched a gazebo and laid out a table with maps, postcards and documents relating to the colliery and the history of the area. 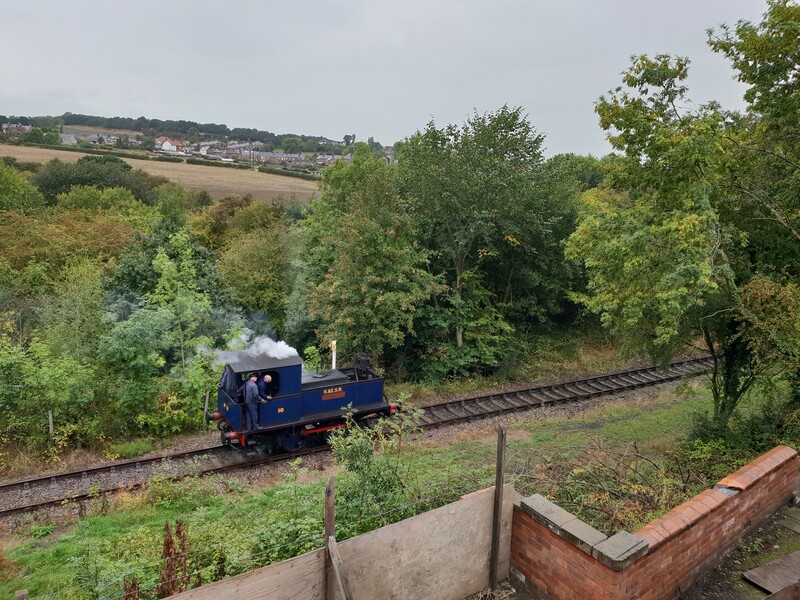 Just below the headgear, the first Elsecar Heritage Railway footplate course passed by, steaming down to Tingle Bridge and back to the station in Elsecar. 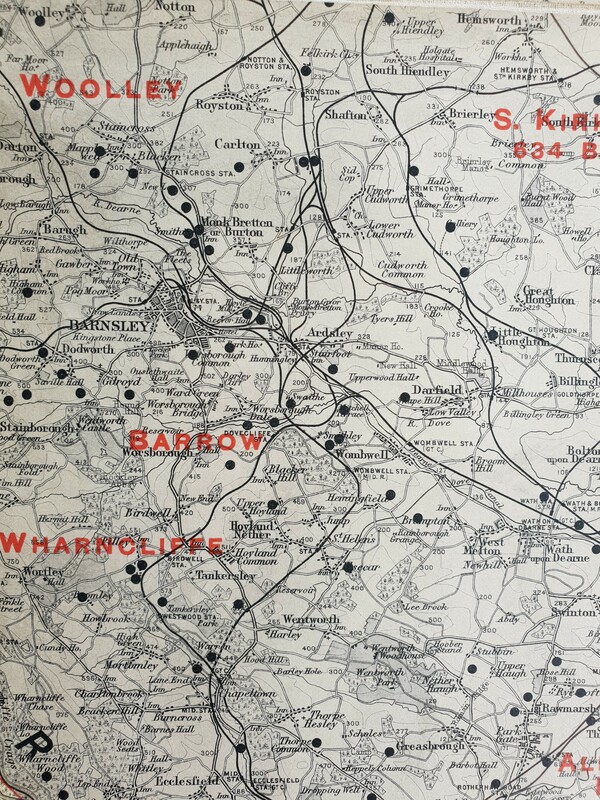 The display table set the scene for the history of mining in Yorkshire and surrounding regions, with a large scale map, c.1908 of the active collieries at that time (black dots on the image below). What were once familiar names to hundreds of households, are now empty spaces, industrial parks, or greened spoil heaps. In our case, Hemingfield Colliery, its transformation from colliery to pumping station saved the 2 main shafts and the winding and pumping engine surface buildings. Remembering the former ubiquity of the industry Hemingfield still represents is a strange and sobering act. The dependence of Great Britain and the wider industrial world on its main fuel source, coal, was something which seemed so unquestionable once, and now it is history, one we need to understand even when it is no longer seen. Although the weather no doubt deterred visitors, the Friends were very pleased to welcome ex-mineworkers, engineers, and interested others to site. 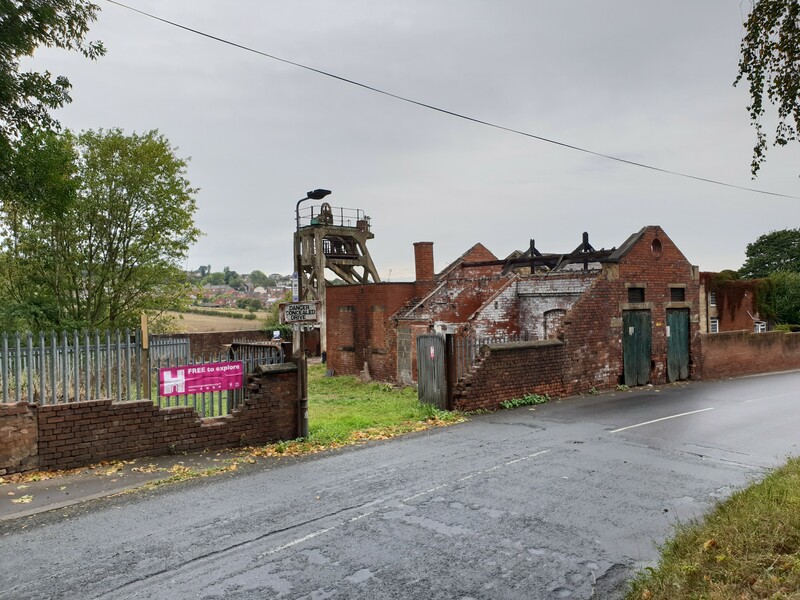 Several were able to connect us with memories of visiting the site in the past, or of relating a family connection with coal mining which was made more immediate and memorable by visiting a former colliery site. Sadly, one aspect of the Friends’ custody of the colliery has been to note the extent to which damage is still being done to some parts of the site. 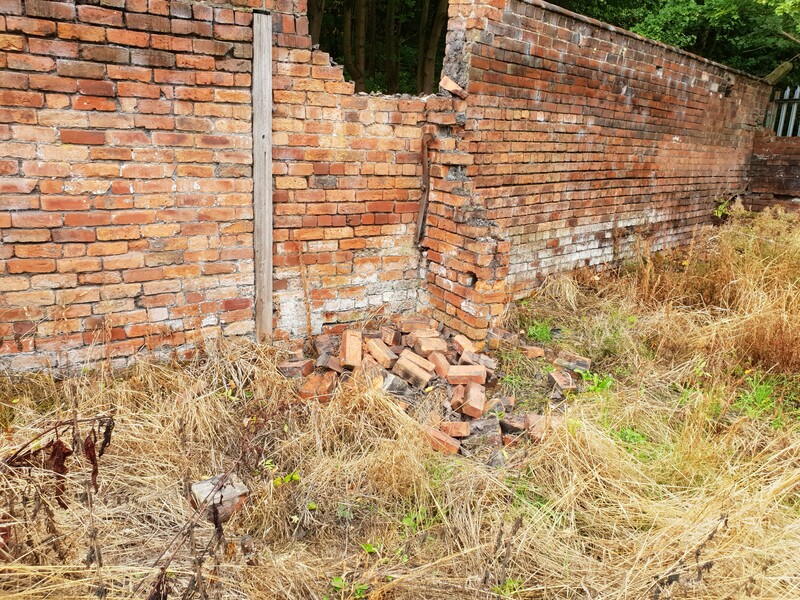 The boundary wall onto Wath Road has largely borne the brunt of some unwanted attention, with brickwork being maliciously damaged and knocked into the site. Thankfully our efforts to secure the site are working, and we have plans to repair and rebuild, but it is galling to know that some people are unable to respect these efforts. Such wanton destruction, rather like the drift of history and disappearance of coal mining from the map, is one of the things we are fighting against, ad why we remain determined to preserve the history of the site and share the heritage of a way of life for future generations.